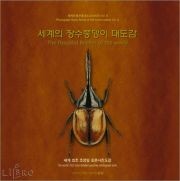 Produktinformationen "The Dynastid (Rhinoceros) Beetles of the World"
세계 장수풍뎅이 도감집. 20년 동안 동남아 등지를 돌아다니며 채집하고 수집하여 정리한 장수풍뎅이 도감집으로 저자 자신이 직접 찍은 사진을 합성과 보정작업을 통하여 보여준다. 저자가 직접 고안한 접사촬영 방법(초점거리가 다른 곤충의 각부분을 접사 촬영한 후 여러 장의 사진을 합성하여 곤충 한마리로 완성시키는 방법)을 이용하여 부분접사 합성사진으로 제작된 세계 최초의 곤충도감이다. Weiterführende Links zu "The Dynastid (Rhinoceros) Beetles of the World"
Unser Kommentar zu "The Dynastid (Rhinoceros) Beetles of the World"
Kundenbewertungen für "The Dynastid (Rhinoceros) Beetles of the World"